Here is something else we did. 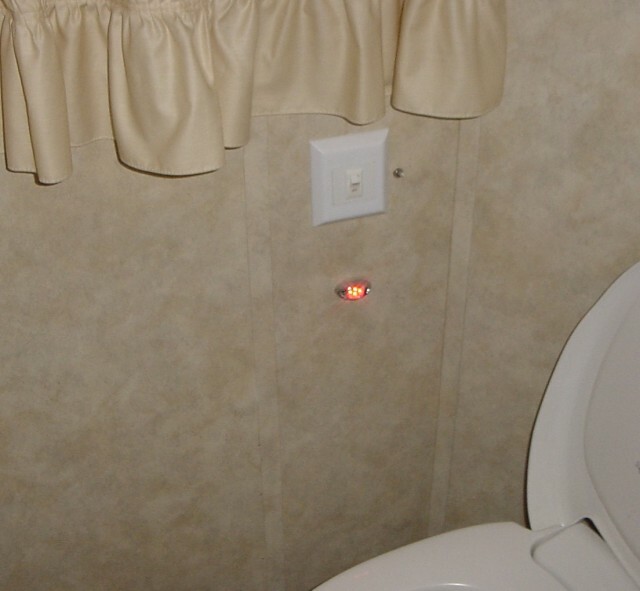 When we ordered the RV we forgot about having a electrical outlet installed in the bathroom.. so to give us a night light I took one of my Pod lights, tapped it off the switch for the light and fan. 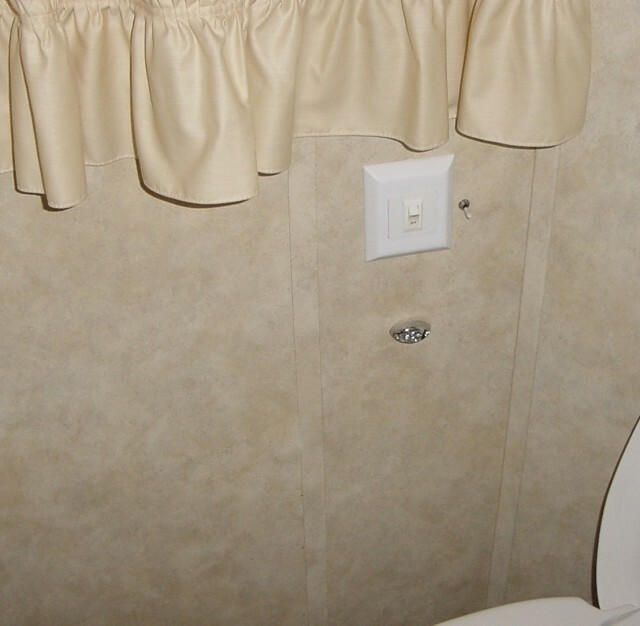 Installed a off on switch. 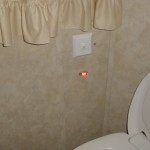 The light is red so it does not hurt your eyes in the middle of the night. May 2, 2010 -- Do you have a Suggestion or Tip for us?